Lightsabers are cool, but also dangerous. That's what this video by gnarlytooth is all about. Imagine if the most irresponsible human being on the planet got a hold of the most dangerous - but elegant - weapon. 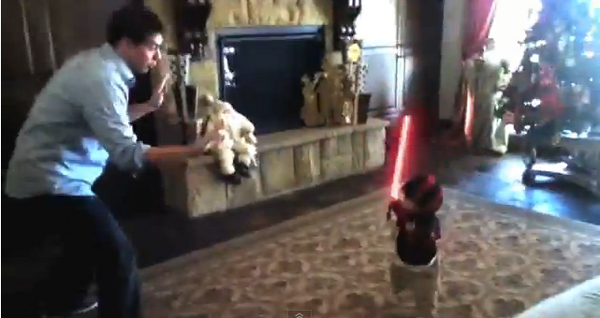 That's right, it's a toddler with a lightsaber. Shot in a found footage style, it's both funny and scary at the same time. And also cute. Because it's a toddler. With a itty-bitty lightsaber. Next up, a kitten with a nuclear bomb. What do you yhink of the video? That's why it's a good thing they don't really exist.